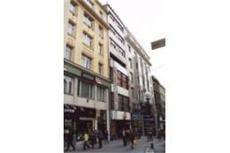 The Avion Hotel Brno is located in the pedestrian zone in the city center. Guests will find that this Brno accommodation offers convenient access to the cultural and architectural wonders of the city. Nearby attractions include the Spilberg Castle and the Petrof Cathedral. The Avion Hotel Brno is located near the main street of the city. Rental cars are available throughout the city, and public buses offer easy access to the airport as well as to points of interest throughout Brno. Each of the guestrooms at the Avion Hotel Brno is comfortable and well appointed. There are a total of 35 rooms as well as one apartment. All rooms offer a quiet atmosphere and a private bathroom. Guests of the Avion Hotel Brno will find that shopping, dining, and leisure options can be found within walking distance. The hotel offers an onsite pizzeria for guests to enjoy. There is also a bar onsite that makes an excellent place to spend a relaxing evening.